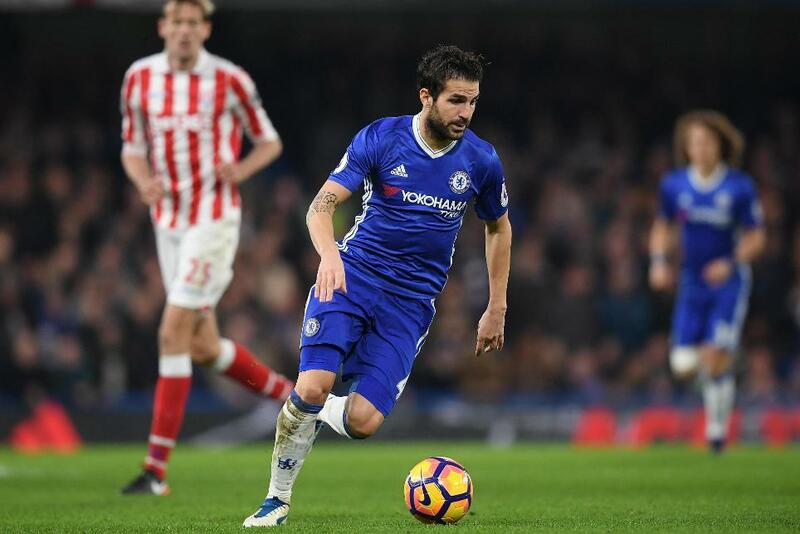 By setting up two of Chelsea's goals in their 4-2 victory over Stoke City on Saturday Cesc Fabregas became only the fourth player to register 100 Premier League assists. Fabregas, who boasts exactly 100 assists, joins Ryan Giggs, the record holder (162), Frank Lampard (102) and Wayne Rooney (101) in reaching his milestone. The Spain international has pipped his fellow centurions in terms of speed and youth, however. Coming in just 293 appearances and aged 29 years, seven months and 27 days Fabregas has reached the 100-mark in the fewest number of appearances and at the tenderest age. The majority of the Chelsea playmaker's assists (70) came as an Arsenal player, and the greatest beneficiary was Emmanuel Adebayor, who scored 13 goals after being teed up by the then Gunners captain. Fabregas, who has recorded five assists in 10 top-flight appearances this term, has some way to go to reach his seasonal best of 18, achieved in the 2014/15 campaign - and two short of Thierry Henry's 2002/03 record - but having registered back-to-back assists in a PL match for the first time since January 20015, he is clearly in a rich vein of form. This does not bode well for Chelsea’s next opponents, Tottenham Hotspur, who take on the west Londoners on Wednesday having suffered the most from goals scored (11) as a result of Fabregas assists.